These free baby shower invitations look so good that none of your guests or the mom-to-be will guess that you customized and printed them all for free. There's several different free printable baby shower invitations to choose from here both for baby boy, girl, or surprise gender showers. There's a wide variety of styles, colors, and themes so you'll find something that goes great with every type of shower. Mom-to-be is really going to love these! Most of these baby shower invites can be customized before printing. You'll just need to type in your party details and you'll be ready to print and go. Others will have your print first and then write in your information. Tip: These free printable baby shower invitations will look best when printed on card stock but can also be printed on regular computer paper. Be sure to visit each link for the download of the invitations, these images are just to show you a preview. If you're looking to save on stamps and send your invitations out faster, you'll want to check out these free online baby shower invitations. There are also many more free baby shower printables like free baby shower games, printable baby shower games, and printable thank you cards you can get. My Fabuless Life has designed these colorful floral baby shower invitations that can either be used on their own, or with the other free printables for a storybook themed baby shower. Print these baby shower invitations off, write the party details, and you're ready to send them off to the guests. 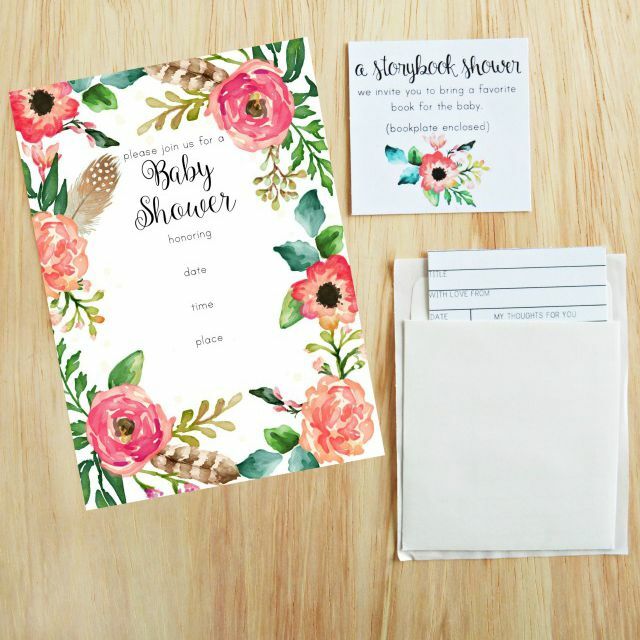 Here are some free baby shower invitations that would be great for a baby shower that has a woodland animal theme because they have an adorable fox on them. These print four per page and then you can write in all the details of the shower. This adorable baby shower invitation is available with a blue or a pink rain cloud and border. You can customize the shower invite with text that includes the mom to be's name, the date and time of the shower, location of the shower, and RSVP details. You can even add stickers and additional text if you'd like. Pink peonies decorate this beautiful free, printable baby shower invitation designed by Uplifting Mayhem. In addition, there are three matching printable games that can also be downloaded for free. Paula Biggs at Frog Prince Paperie has designed this colorful free baby shower invitation with colorful balloons and banners that say "She's About To Pop!" You can download the PDF of the invite and then customize it with the mom-to-be's name, the date, time, and address of the shower, and the RSVP information. Be sure to scroll down for the matching DIY thank you gift, that uses a free printable and EOS lip balm. These free baby shower invitations from Easy Peasy and Fun are designed with colorful dots and banners and come with either pink or blue text. These are so simple to put together — just print them out and write in the details. The lucky recipients of these baby shower invitations will be greeted by a blue, yellow, and brown invitation with a cute giraffe. In addition to the free, printable baby shower invitations, there are also free matching tags, rings, and a game. Perideau Designs has created a lovely set of free printable baby shower invitations for Oh My! that feature some very cute owls. Along with the free printable baby shower invitations, you can also download free thank you cards and party circles. These free printable baby shower invitations are perfect for a pea in the pod or garden themed baby shower. Print the baby shower invites out and add all the party details before sending them out. These modern printable baby shower invitations were designed by Tom Kurzanski and would be great for any theme of ​a baby shower. Included in the free download are free baby shower gift tags as well. This printable baby shower invitation is such a cute idea for an ABC themed shower. 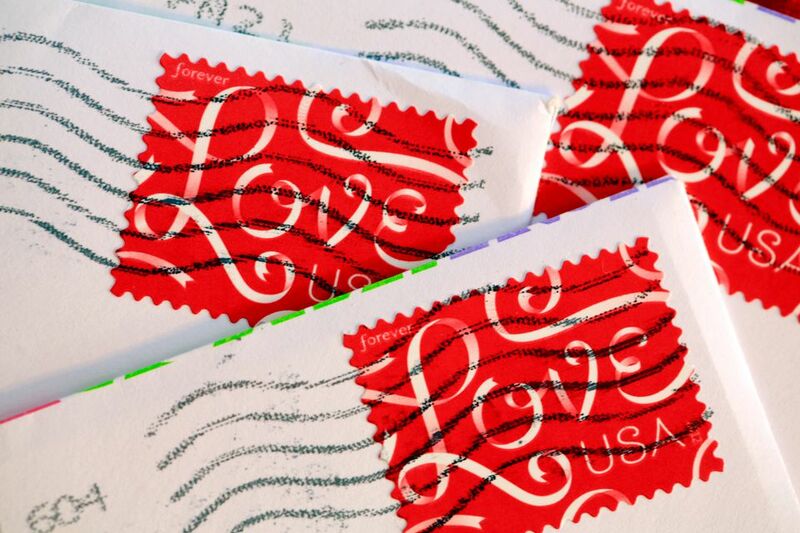 Mail these after adding your shower details or make them extra special by following the embellishment directions. Oh Happy Day has created a very unique baby shower invitation that they are giving away as a free download. After you print out and assemble this free baby shower invitation you'll have an invitation cleverly disguised as a book. These printable baby shower invitations were designed by The TomKat Studio for Pottery Barn Kids. The baby shower invitations are blue and yellow anchor themed and also come with free downloads of a banner, garland, party circles, and favor tags. You'll get a complete baby shower theme when you download the invitation and bookplate for this book-themed baby shower. The free printable baby shower invite has a nice vintage feel to it inviting the guests to a baby shower with a focus on books. Here's another set of wonderful baby shower invitations that were created by The TomKat Studio just for Pottery Barn Kids. These free printable baby shower invitations are all about the sunshine and have matching food/dessert labels, banners, cupcake wrappers, favor tags, party circles, and cake flags that can be downloaded for free. Here are both "It's a Girl" and "It's a Boy" free printable baby shower invitations by I Still Love You. They're cute, simple, and are ready to go after you add the details. Rustic Honey has designed a very basic printable baby shower invitation, that you can customize with the mom-to-be's name, the when, the where, where she's registered at, and an RSVP contact. You can print this out on any color paper you'd like and it will change the whole look of the invite. This free baby shower invite from Greetings Island has a beautiful floral wreath surrounding the title "Baby Shower." There are four different color schemes available for this shower invite. This invite can be customized with the name, date, time, place, and RSVP info.